Firstly let me begin by saying that within a week of posting this short article I have received a cease and desist notice from a law firm, demanding a number of things from me. I have made some minor edits to this so that I don’t have to enter into any drawn out legal issues. Though I must admit, changes have only been extremely minor. 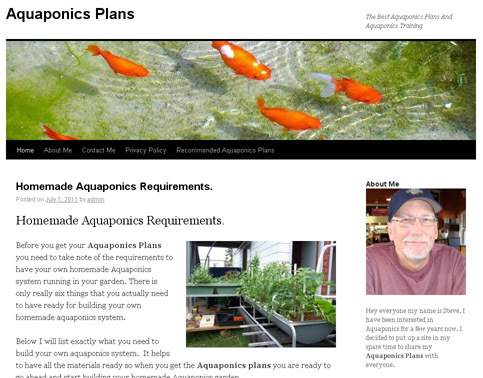 Lately there’s been a flurry of small aquaponic websites starting up around the internet, all selling one particular e-manual. It seems that aquaponics has started to become a target of people seeking easy money from affiliate marketing. Why am I telling you about it, why am I upset about it? Because many of the affiliate marketers are stealing others work and making out that it’s their own. They use cheap international writers to write extremely poor information about aquaponics, often in very poor English and this poor information is repeated over and over again all over these affiliate websites. I’ve been battling these people for quite some time over the use of images that are not theirs and generally their response has been “but the image didn’t say copyright and it was on the internet”. When you continue to push, they remove whichever images you have complained about, then surf the internet for someone else s images and put them up instead. These people have generally no interest in aquaponics, they are interested in internet marketing and affiliate sales and marketing, they know what are highly used search phrases in the search engines, and they monopolise on this by registering such domains as www.backyardaquaponicssystemDOTcom and www.backyard-aquaponicsDOTorg. Because “Backyard Aquaponics” has become a phrase people search for, they try to monopolise on this. Now of course these people are marketers, so it”s not always easy to spot them, they know marketing well, they know how to make you feel comfortable, to try and give that personal aspect, and they know how to sell. Many of these sites will have a picture of a friendly face on one side of the page with a small personal introduction along the lines of ” Hi, I”m Stuart, I”ve been into gardening and doing aquaponics for years now and I just love it…….” Chances are that it”s not their face, and it”s almost certainly not their real life they are talking about. And in almost every case they lead back to one electronic manual, the Aquaponics 4 you guide. It is a small e-guide with a very limited amount of information. You can download at least 100 times more information for free from the info section of our Backyard Aquaponics website or through any one of a number of other free online sources. Our IBC of Aquaponics manual which is available for free online, contains more information, and it”s free. But it”s up to the individual, many people consider that in todays society things that are free can”t be worth anything. But as someone”s feedback left on ebay states after buying the Aquaponics 4 you ebook “The advertisement is bigger than the book”, I personally think this sums it up fairly well. Here”s a classic example of what I”m talking about with these affiliate marketers, this is just one of the websites I found a day or two before writing this article. Ok, firstly the “about me”? No his name is not Steve as the website suggests, a quick search online of who registered the domain shows that it”s actually a guy named Jay from England. Jay has also registered a number of other websites that sell a range of different affiliate e-books, from how to modify your playstation through to, how to get rich playing online games. I”d take a quick guess that this is probably not his picture either. Seen this image before?“Sorry, image has been removed” And the website states that the aquaponic system pictured there is a sample system which was “built using the aquaponic plans” they are selling. Well that belongs to John Burgess in NSW here in Australia, long time member of the BYAP forum, someone who has never even seen their manual, and John is certainly not happy about his pictures being used without his permission. The statements in most of these affiliate sites are usually highly exagerated, and often downright lies and untruths, as I have described above. I spend many hours a week writing to these affiliate website owners asking for them to remove the images they are using that do not belong to them, and these are only the ones I find or the ones I am told about. I wish the writer of the original e-manual they are all selling would supply them with images of their own systems, of their own plants and fish, so they would stop using everyone elses, but I guess not. Perhaps there aren”t any, the only image I”ve ever seen is the cover. Instead I receive a cease and desist notice for commenting publically on these things. Sorry John, I am not just going to delete this because you don”t like it. After some further communications with John Fay, the author of the aquaponics 4 you manual I discovered that John Fay doesn”t even exist, it”s a pen name. Strange, statements on their web sites insist that John Fay is a “Certified organic Farmer” and “Aquaponics Expert”, but John Fay doesn”t exist so how can he have any organic certification. So just be cautious with your money, don”t believe everything you read, and if you want information about aquaponics, there is an enormous amount of information that can be downloaded for free. 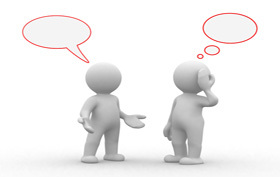 Join an online forum and ask “real” people for real recommendations, don”t help support these people.